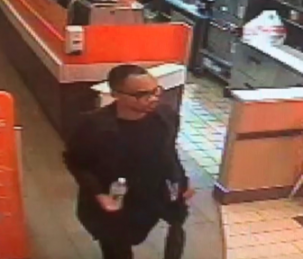 New Canaan police are calling for the public’s help in identifying a man that they say accosted two juvenile females at Dunkin Donuts on Thursday evening. 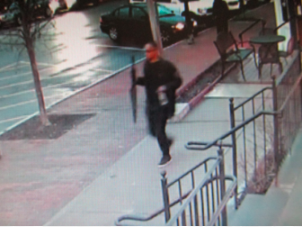 At about 7:15 p.m. on March 21, officers were dispatched to Dunkin’s at 98 Elm St., downtown New Canaan on a report of a “suspicious black male,” according to a police report. 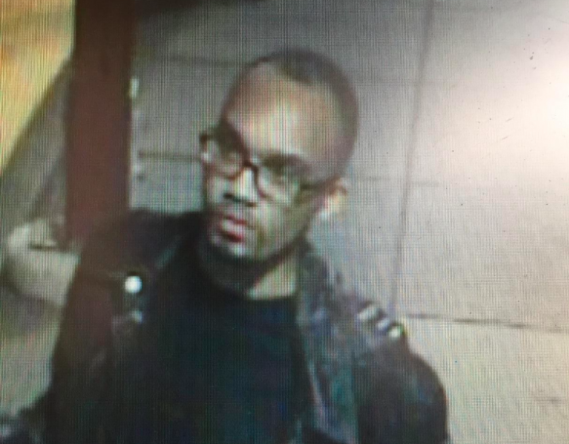 Police are asking for the public’s help identifying this man, accused of accosting two juvenile females in New Canaan on March 21, 2019. The man had approached the juveniles and asked the to come into the bathroom with him, according to the report. New Canaan police are seeking the public’s help identifying this man, accused of accosting two juvenile females in New Canaan on March 21, 2019. When the girls said no, they fled on foot and the man followed them, the report said. Police are asking for the public’s help identifying this man, who is accused of accosting two juvenile females in New Canaan on March 21, 2019. They got away and contacted their parents, who notified police of the incident, it said. If you can identify this man, please tell New Canaan P.D. He\’s accused of accosting two girls in that town. Anyone who was in the area of Dunkin Donuts at this time and knows the suspect is asked to contact Detective Thomas Patten of the New Canaan Police Department at 203-594-3520.